Length: 1161 mm/ 45.70 Inches from pin to pin,the pin are rotated,so you can adjust it to lit up any space. Illuminate your space with 2200 lumens! 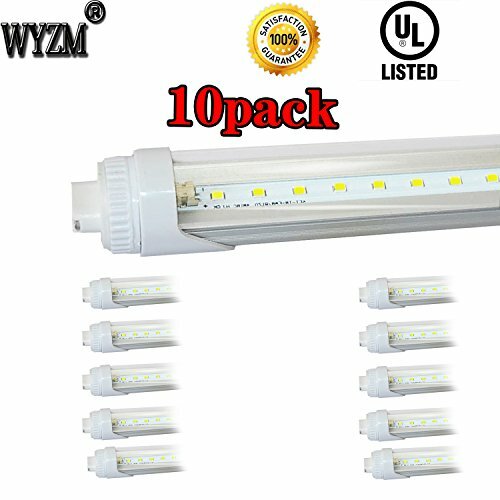 With super bright, high output LED tubes in your garage, warehouse, or office, you will see things in a new light. Note: Existing Ballast Needs to be removed or by-passed before installation or bulb will burn. For wiring instructions, please look at the pictures.